Here is my Nail of the Day called "Dotted Green"
I love this color, Mojito Madness! What a great color for summer! 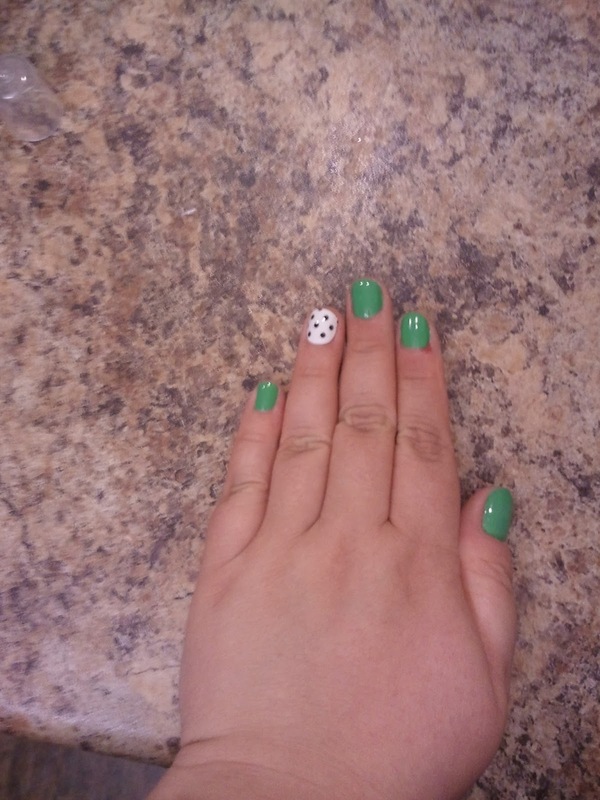 I used Essie "Mojito Madness" from their Summer 2012 collection over the Seche Vite base coat and paired them with some Sally Hanson real nail polish nail strips. 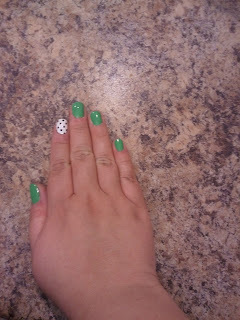 Over the Essie polish, I used American Classics Air Dry top coat from Sally's Beauty. I just purchased these, so I will update you on how long they last later. They retailed just under $10 for 16 strips. 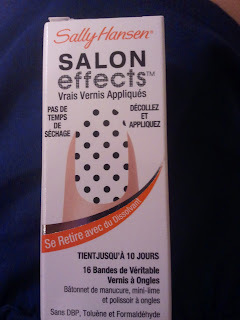 I like using them on accent nails so you can get more uses out of them. 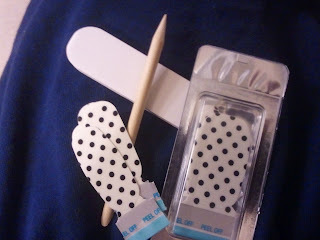 Or you could use these on 4 fingers on each hand and paint the accent nail. 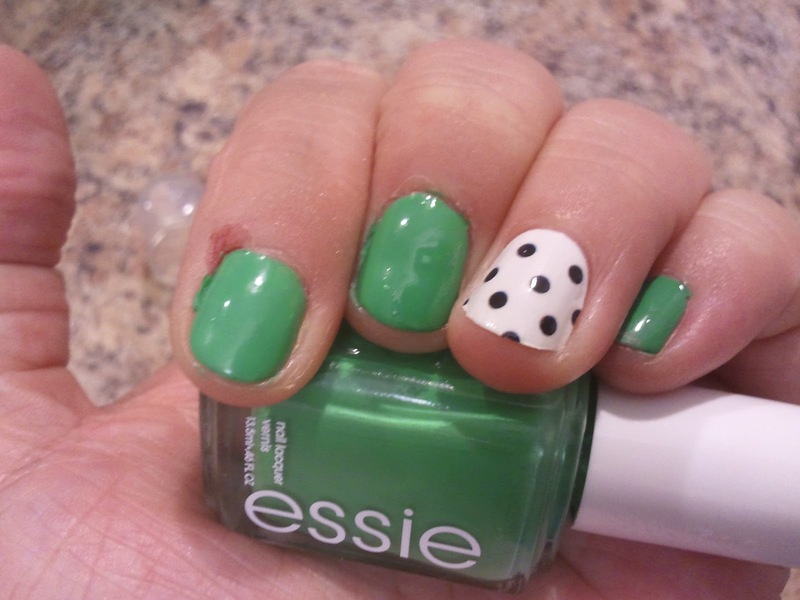 Also, if your nails are short and you are VERY careful with the strips, I think you could use one strip on two nails. 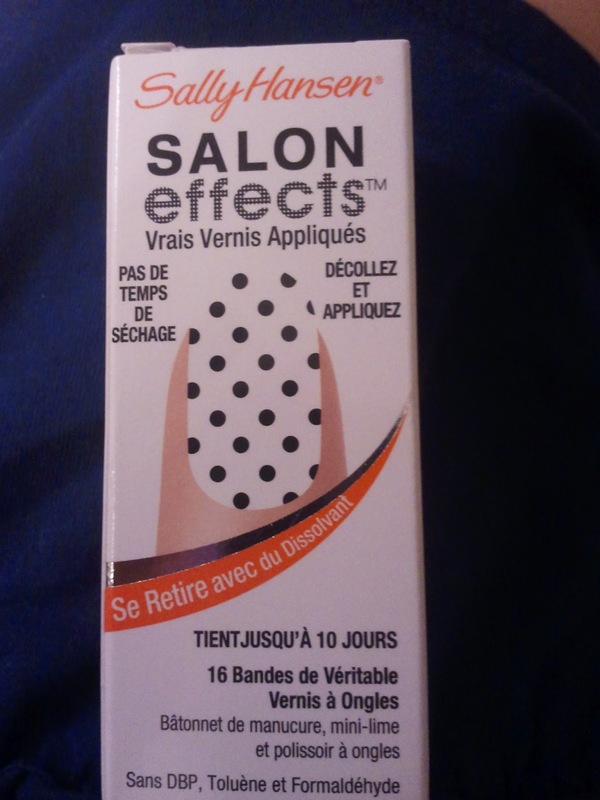 As these are real nail polish strips however, they were slightly harder to correct if you made a mistake or got a bubble or ridge while applying. The first one I applied, I got it on perfectly, but had a little more trouble on the second. These may take a little more patience than other plastic strips I've used, however, the appearance looks like real nail polish and like you spent some time actually creating this design yourself. Overall, I'm really loving them. They came in a really nice color selection as well.